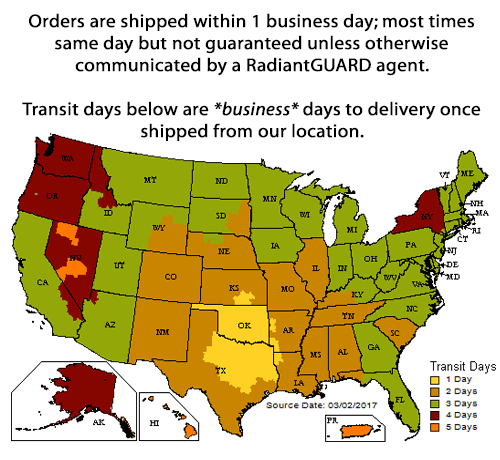 Orders ship within one business day! Reflects/blocks 97% of the radiant heat. Industrialized strength NASA inspired attic blanket designed for stapling to rafters, roof decking or wall studs. Blocks water vapor transmission. Learn how this FOIL radiant barrier differs from our METALIZED radiant barrier. is Made In The USA. and lowers heating and cooling costs year round. *For larger quantity discounts, please contact us.